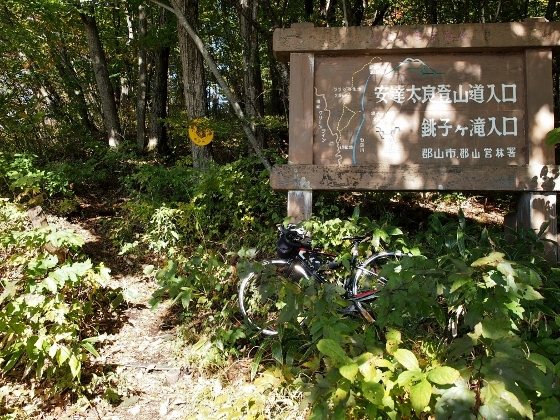 Today, I walked along Choshigataki Trail which is one of seven mountain trails heading to the summit of Mount Adatara. 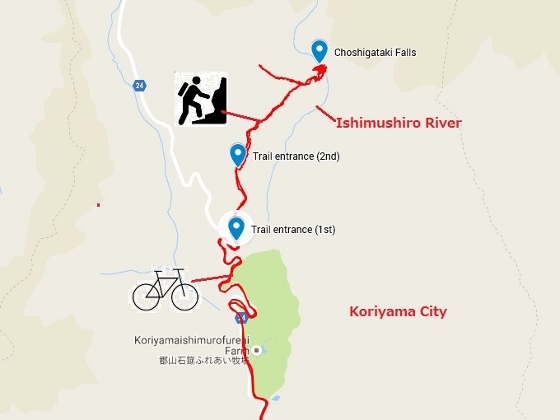 It started from an entrance at Ishimushiro village of Koriyama City and it took 2.7km walk to get to Choshigataki Falls. 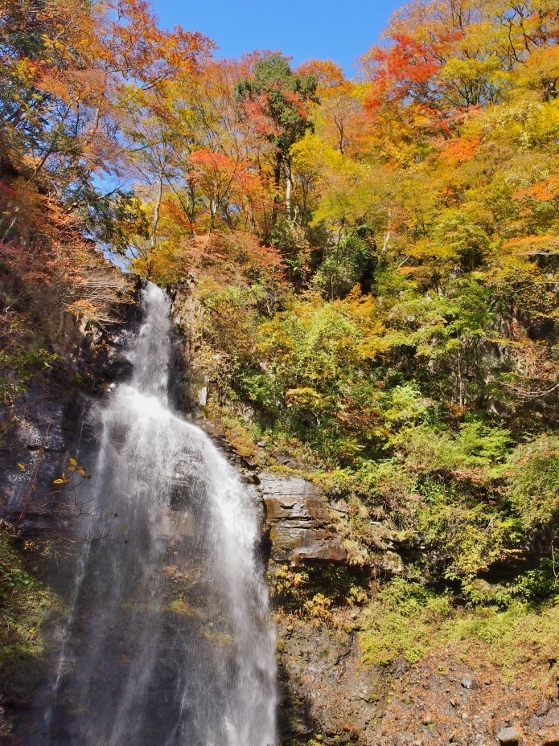 Photo above shows 48m waterfall surrounded by autumn colors today. The trail to the waterfall is mostly moderate, but in the final stage a steep descent of 130m with makeshift ladders and chains welcomed me. But if you carefully and slowly move, the trail is kind of secure. 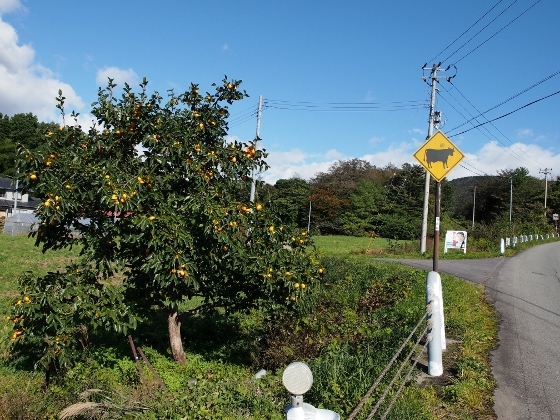 Photo above shows the first trail entrance which is located along Bonari Green Line Road which is a prefectural road. I entered and started from here. As I started to walk, there appeared a paved road of less than 1 km long, and at the terminal there was the second trail entrance, where mountain trail started again. 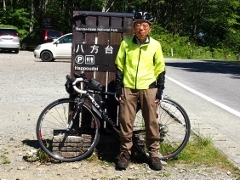 I pedaled my bicycle to the trail entrance from my home. Along Bonari Green Line Road, which had a large scale cattle farm alongside, I found a rare cattle warning traffic sign as shown above.